Do something. During the CrisisCommons response to Haiti, I learned about the Crisismappers network. When the Chilean earthquake occurred, our CrisisCamp Toronto team got a crash course in Ushahidi and crisismapping by creating training materials while we learned how to map. We also volunteered for the Pakistan floods using the same tools and community networks. I became hooked. Geo-locating situational awareness and potential needs to provide context to humanitarian response continues to evolve. I am a mapper-in-training (MIT) and a serial volunteer. In October 2010, I attended the International Conference of CrisisMappers. The calibre of organizations, academics and volunteers inspired me to join the newly formed Stand-by Task Force (SBTF). The SBTF is a collective of highly skilled, diverse people from around the world who can be activated to respond. As George Chamales of Konpa Group likes to say: a map is only as useful as the process and people to make it happen. It is hard, iterative work to map. But, the rewards mean contributing to a new, visual response. In January, I volunteered with the SBTF monitoring the Sudan elections with sudanvotemonitor.com. I spent time working with the geo-locating team. I could spend a few years learning and still not be an expert. Everyone starts somewhere. While I have volunteered with Ushahidi and maps for a year, there are many layers. The CrisisCamp Toronto team is modeling and testing maps as a volunteer offering. We created Snow in Toronto. I applied the SBTF methods and cross-trained my local peers on how and what to map using the best practice templates and processes. Mapful. The last weeks included large scale responses for the Standby Task Force and CrisisCamp. Digital volunteers from many groups have answered the call to action. Monday, February 21st was the end of a long weekend. Upon checking my twitter stream around 20:30, I learned about the earthquake in New Zealand. I logged on to skype and began collaborating with people from around the world for 8 hours straight. We activated the Stand-by Task Force to assist with the initial response and training. 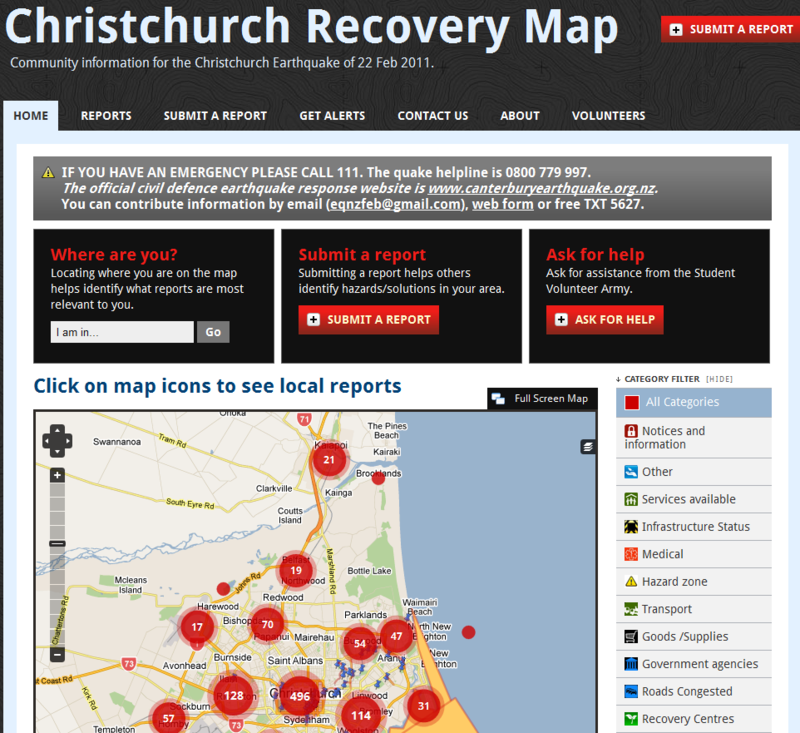 I was given the honour to chronicle the experience on the Ushahidi and CrisisCommons blogs: Launching eq.nz.org for the New Zealand Earthquake. In 12 days, the CrisisCamp New Team and friends have filed 1,355 reports and 10 layers of information. 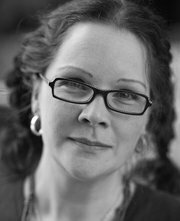 Their work has been chronicled on the CrisisCommons wiki and blog. All the NZ folks like Tim McNamara, Robert Coup, Nat Torkington, Gavin Treadgold and hundreds of volunteers are changing the face of emergency response in NZ and inspiring people around the world. The Stand-by Task Force was activated this week for a special project for the United Nations – Office for the Coordination of Humanitarian Affairs (UN-OCHA). This historical action involved crisismappers in the humanitarian response. I joined the SBTF deployment team and began research social media resources and mapping. Four days later we have hundreds of reports verified and continue to volunteer. This effort included many diverse groups – CrisisCommons, Humanity Road, CrisisMappers, Google Crisis Response Team, NetHope and OpenStreetMap. Patrick Meier, Director of Crisismapping at Ushahidi, and Sara Farmer, Chief Platform Architect at UN Global Pulse blogged about the the Libya response. The map is not publicly available at this time due to the sensitive nature. Mappers do no harm, we just want to help. In time, it will be available. Volunteers are most welcome. You can contact the Standby Task Force. Digital volunteers from the various Volunteer Technical Communities (VTCs) are involved in crisismapping. There are hard-core geo mappers like the OpenStreetMap and the Google Earth folks. And, there are groups like CrisisCommons, Crisismappers, and Humanity Road who provide surge capacity and often focus on situational awareness and research from social media, media and official sources. Add to this, the Ushahidi development team and other technical volunteers. Who are these digital mappers? Well, they are doers. A mapper doesn’t want to talk for hours about doing, they just do. It takes a new volunteer about 4 hours to wrap your head around the process and begin to really dig in. The SBTF have worked on a number of deployments and are very open to new members. We are the people who map for 3 hours at night instead of watching tv. We are the people who wake up early before work, log into skype and add a few reports to the map. We map at lunch. We are the people who may drop everything to map for 4 days. We are communicators and friends. And, we believe that a map can and does change the world. Every day I am more and more honoured to call myself a mapper. While it might not show immediately that we are making a difference, it will in time. Iterative change starts with a few hours and a few dedicated people who want to make a difference.